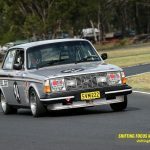 Two days of classic tin top racing in near perfect conditions followed as we worked out who could best wrangle these beasts around the classic corners of Morgan Park. 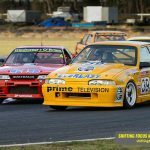 Tony Alford was quick out of the gates in his GIO Nissan Skyline GTR, hopping straight to pole position with a scorching time that put him well clear of the Sierras of Carey McMahon and Duncan Mackellar. 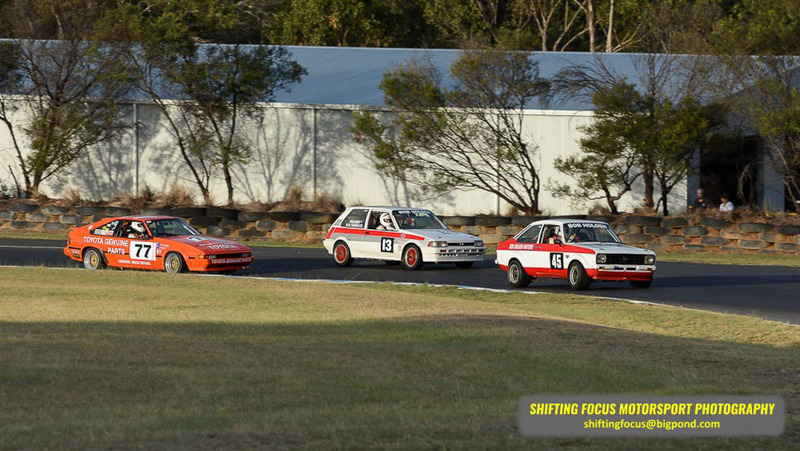 Chris Bowden hooked up his RX7 beautifully in qualifying for the quickest of the Group C hot laps, and Frank Binding was right behind him in the Army Reserve Falcon XD. 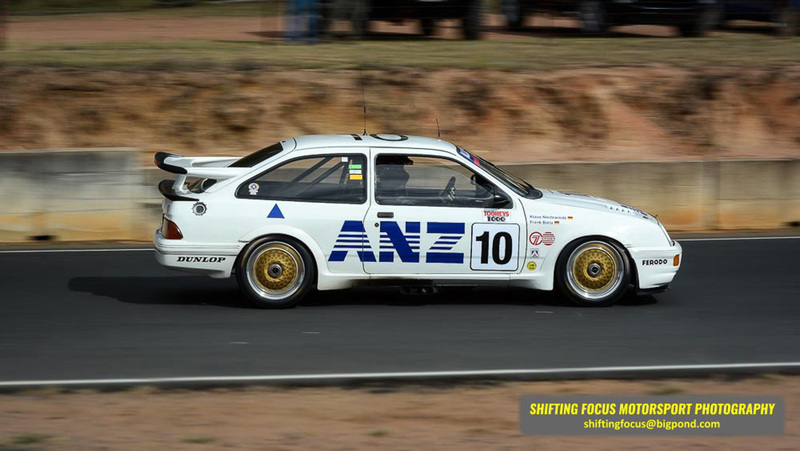 Phil Verwoert was third fastest in his RX7. 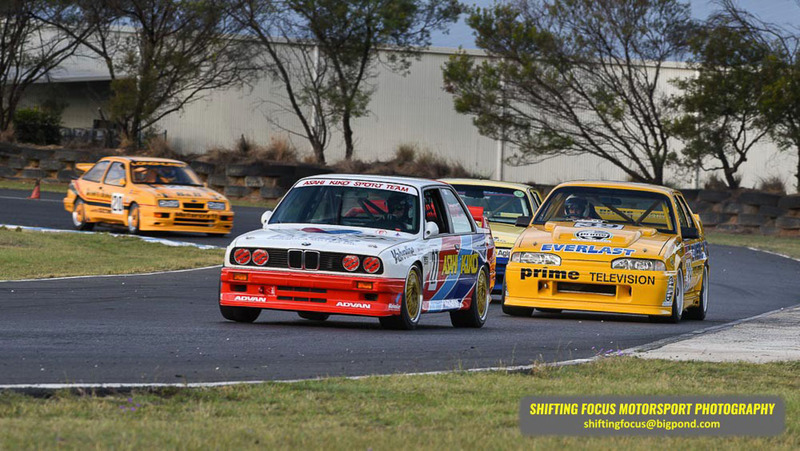 We were then treated to four races over the course of the weekend and saw great performances throughout. 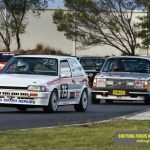 Tony Alford was on fire all weekend long and took the chequered flag in three of the four races, including the 10-lap Glen Seton Trophy for Group A, although Duncan Mackellar was able to slip by him in the Lloyd Bax Handicap race for a win. 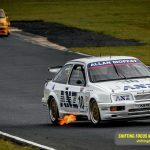 Alford now jumps to the top of the 2016 results table, displacing David Towe who had a rough weekend after qualifying fourth overall. 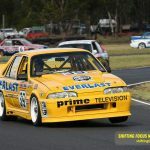 Mackellar and McMahon were close all weekend until McMahon suffered a mechanical failure in the last race. 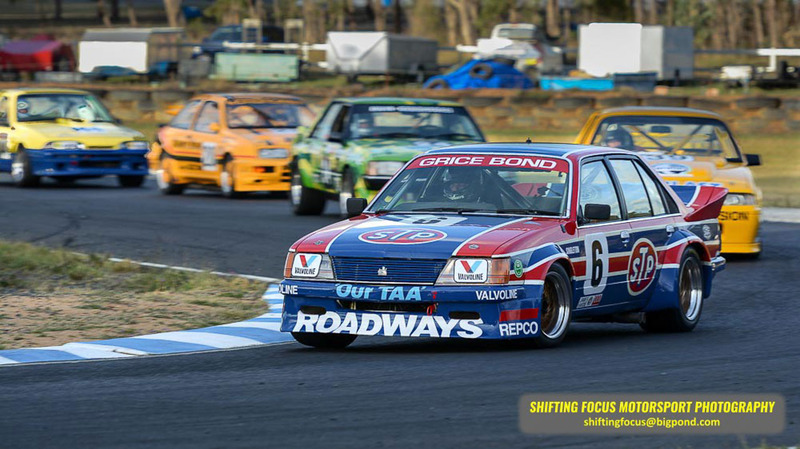 Wayne Clift put in a great run in the Handicap to claim third in his VK Commodore and Mark Taylor was also able to jump onto the podium with a third in Race 4. 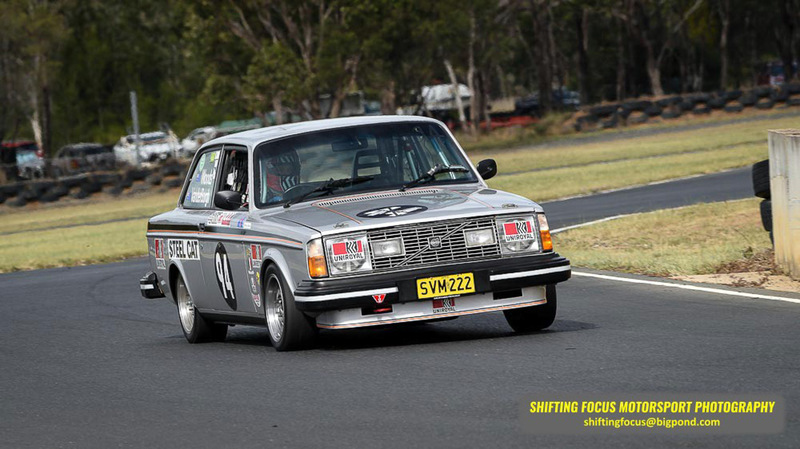 Group C’s ’73 to ’84 muscle saw some great racing over the weekend, particularly between Ed Singleton and Chris Bowden who secured a pair of wins each. 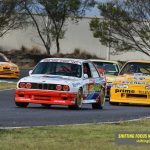 Just 0.05 of a second separated them when they crossed the line in Race 4 on Sunday! 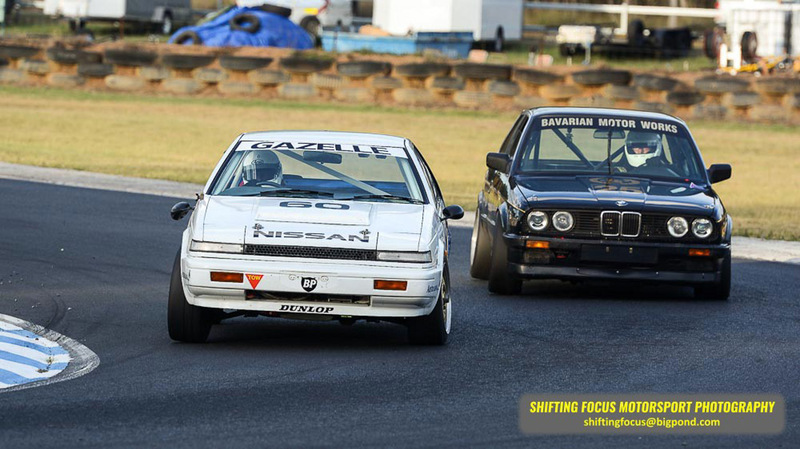 Frank Binding was able to split them in the Lloyd Bax Handicap Race for a second place in class, and rounded out the podium for races 3 and 4, while Steve Axisa put his Isuzu Gemini Coupe into third the first race of the weekend. 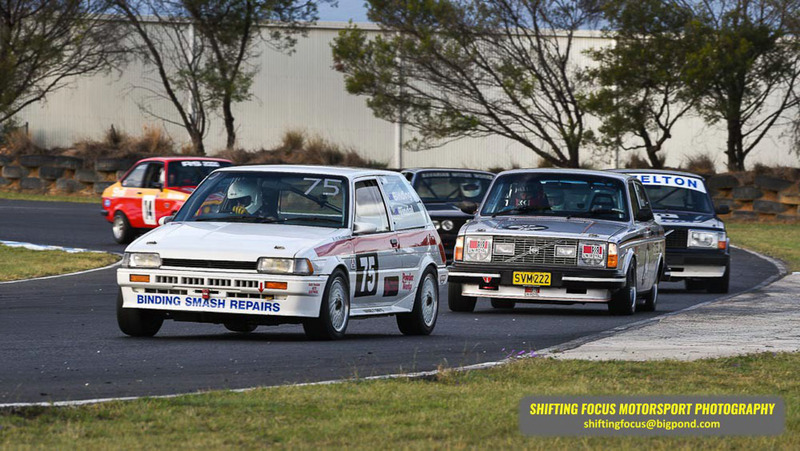 Chris Bowden took home the John French Trophy as the first Group C car over the line for the 10-lap trophy race. 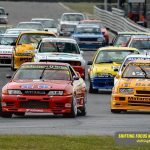 Thanks to the HRCC for organising an excellent event, to all of our racers for looking after these magnificent machines and racing them with respect and passion, and to everyone who joined us at the event! 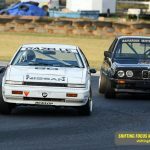 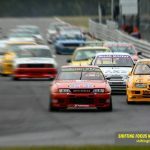 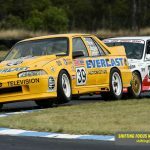 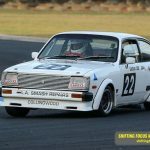 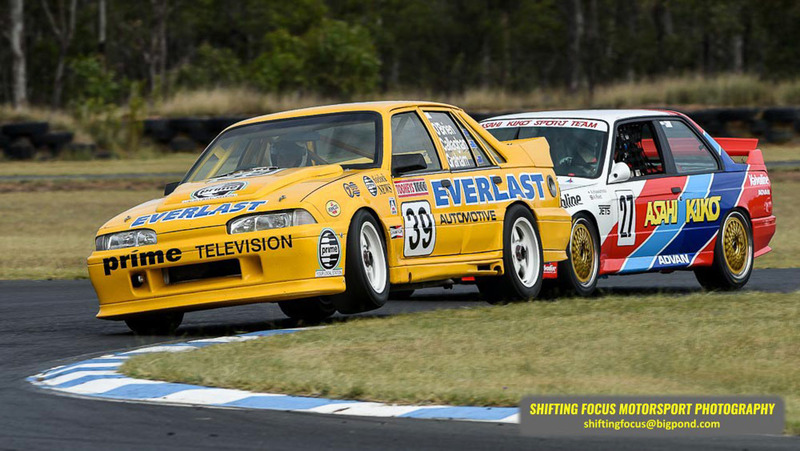 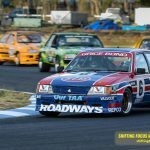 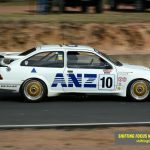 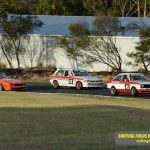 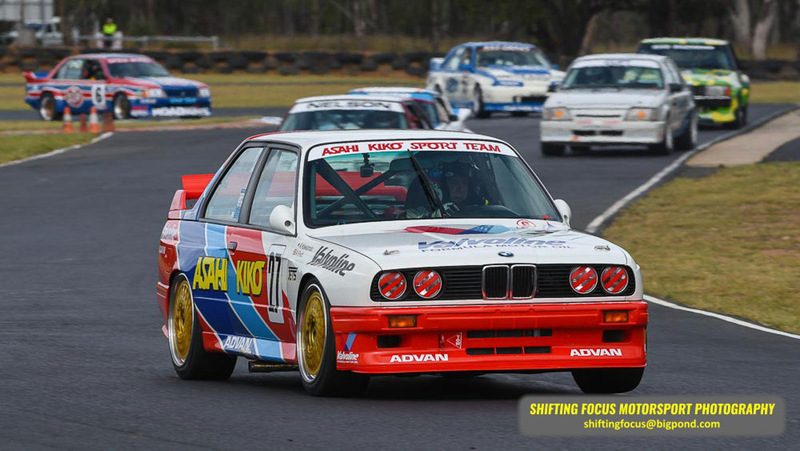 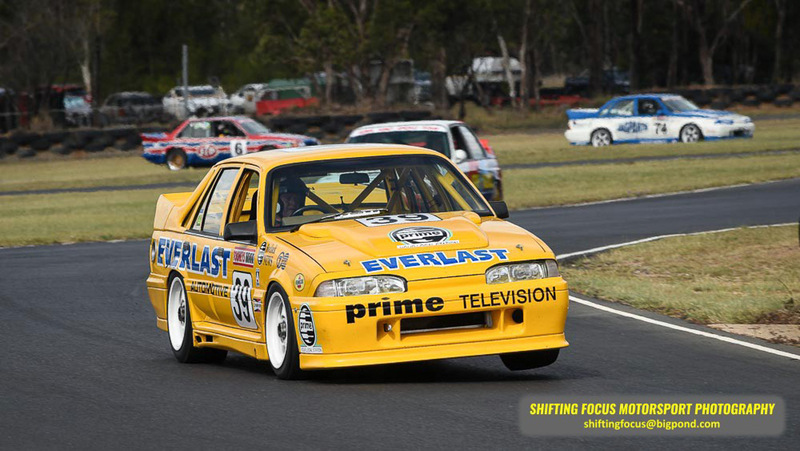 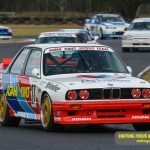 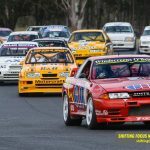 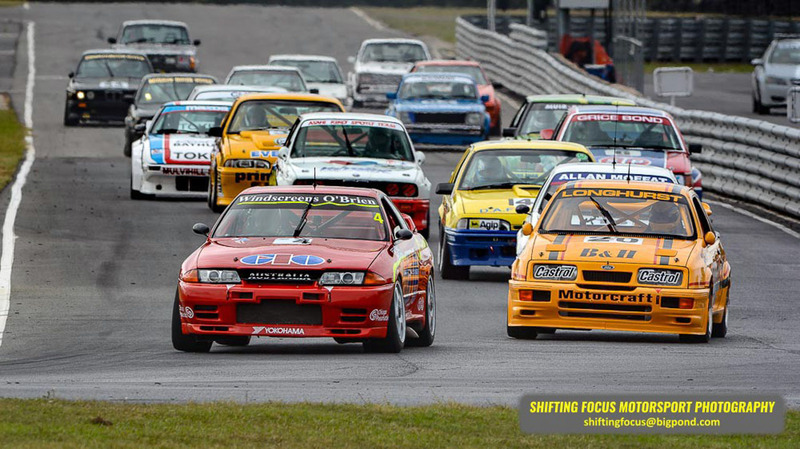 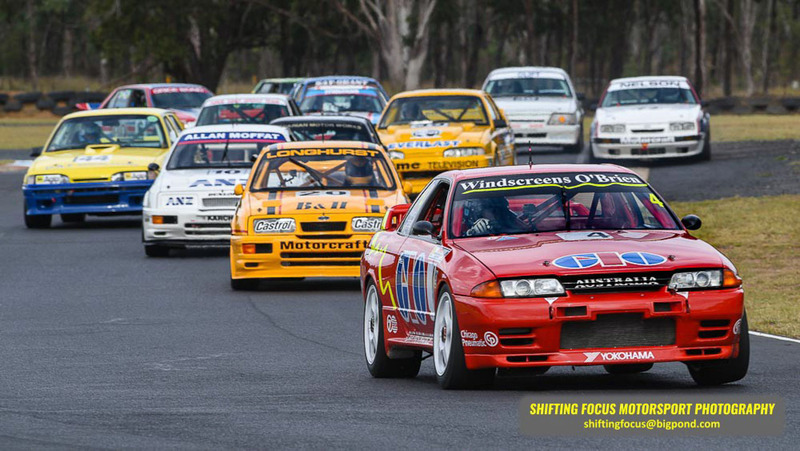 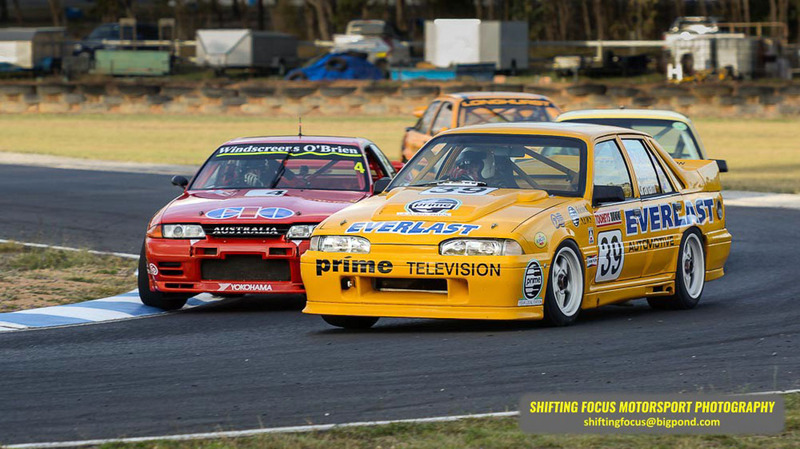 The Heritage Touring Cars series will return this Queen’s Birthday long weekend, the 11th and 12th of June, for Sydney Retro Racefest at Sydney Motorsport Park. 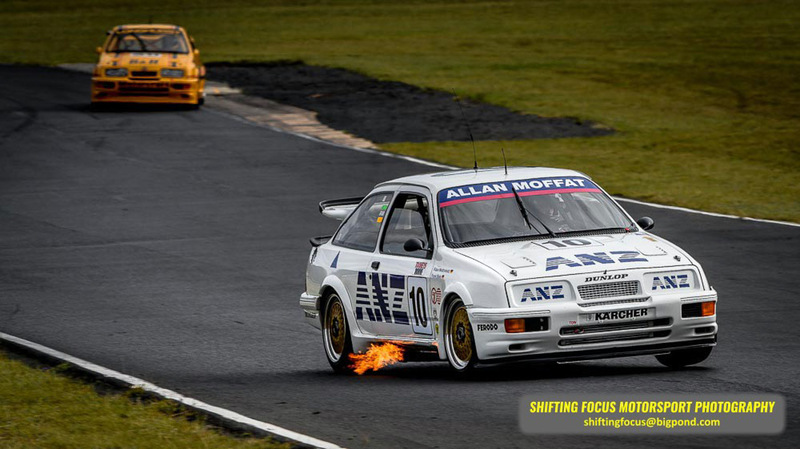 For more photographs and to organise prints, please check out Ian’s website at Shifting Focus here. 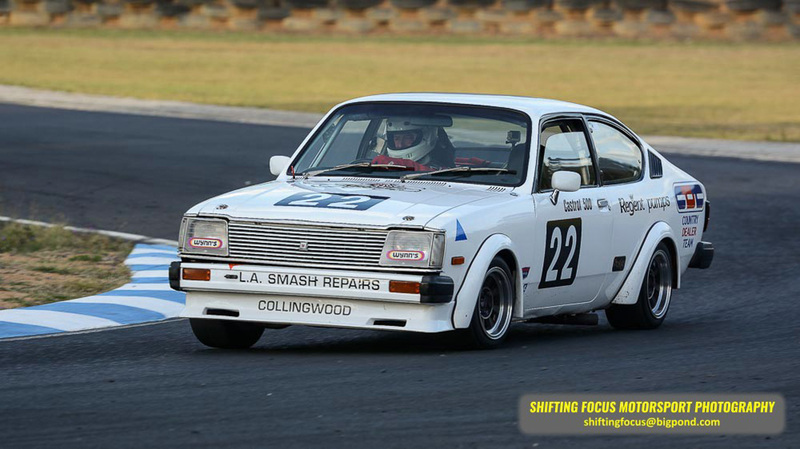 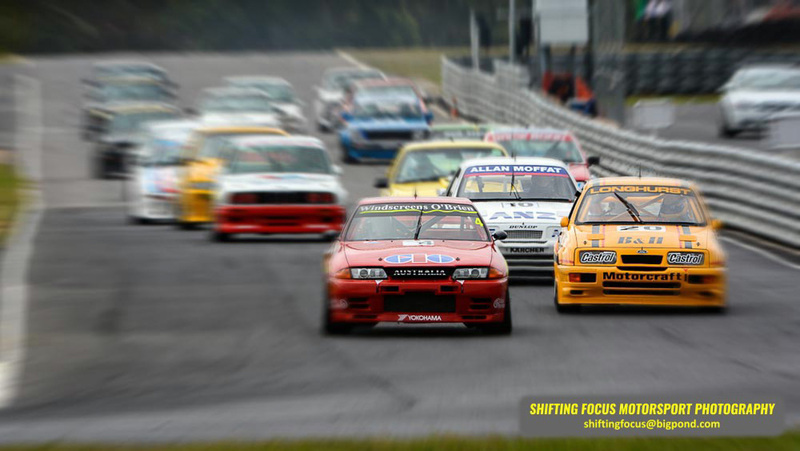 Photography thanks to Ian Welsh of Shifting Focus Photographics.